After stealing the whole city’s heart in Indiranagar, Milano has opened a second outlet in Jayanagar! And while the former is now a short metro ride away for all of us in South Bangalore, we’re all glad that the Italian Gelato parlour has set up shop here with their classics and then some! 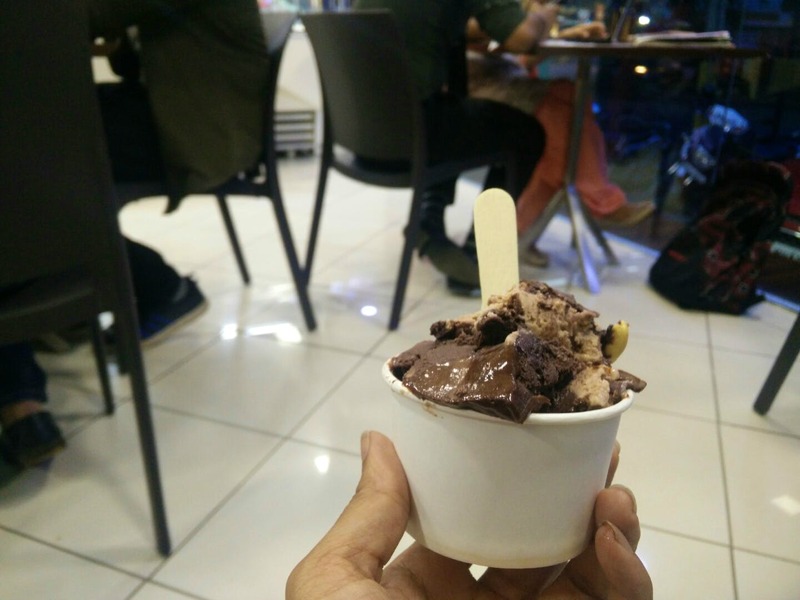 A happy place for all of us who scream for ice cream (or gelato in this case), the Jayanagar outlet is no-frills in terms of the decor with all the sweet stuff that counts. No really, the smell of the waffle cone being made is enough to invite you in! The grape and the strawberry sorbet are just as fresh and light as we are used to, while the extra dark chocolate and truffle flavours hit all the right spots for chocoholics, so they have something for you whether you like it tart and fruity, or indulgent and creamy. For frozen yoghurt fans, there's the yogurt, peach and berry flavour. Kids (or if you want to appeal to your inner child) will enjoy the Hershey's kisses flavour (topped with a kiss). The peanut and chocolate Snickers inspired flavour also tastes pretty spot on if you’re a fan. Like the Indiranagar outlet everything is whipped and churned up right here and, they have cute popsicles ice cream sandwiches and ice cream cakes. They also serve sundaes topped using their chocolate tap, crepes and waffles with generous servings of whipped cream, ice cream or both, none of which we tried, but that will give us another reason to revisit on our cheat days. They don't seem to have many of the classic flavours (the ones with booze or the berry sorbets). We're hoping that they'll bring those in when they introduce the next set of flavours once these sell out!